It is worth to find some time to come and see the TT Warsaw Fair between 22 and 24 November. The 26th edition of this popular event will take place at the Palace of Culture and Science in Warsaw. The Palace will be teeming with life and the colourful and multicultural show will, as usual, attract a massive audience. Almost the whole world will be there at that time. Last year, almost 500 exhibitors from 53 countries were visited by over 20 000 visitors during the event. The jubilee 25th edition was a contribution to the sentimental look into the past, but this time it will be possible to see not only the current state of tourism, but also its future. Even when there was a lot of skeptical voices in the recent past about the topic, the typical tourists are not only doing well – they are doing great. Everyone will have their chance to find out about it during the TT Warsaw Fair. The special guest of TT Warsaw will be Janek Mela, the youngest ever person to reach the North and South poles in one year. It is hard to believe that he accomplished this feat despite losing an arm and a leg at the age of 13. He is the founder of the ‘Poza Horyzonty’ [Beyond the Horizon] foundation, which helps those in need to fulfill their dreams. Other guests of TT Warsaw will also meet their dreams. Those are the travelers who share impressions from their journeys and tell the guests to the fair about parts of the world that are closer or a bit further. Several hundred exhibitors, representing five continents, will make the guests feel as if they were in a different part of the world as soon as they cross the threshold of the Palace of Culture and Science, just as if they went into a teleporter. From Europe to Asia, from Asia to South America, from there to Africa or North America. Feast of colors, exotic smells and flavors, multilingual buzz, universal and clearly visible smile on each face that does not require any explanation. This is a solution for autumn blues, to make new friends and meet your old friends. It is a magical place that reveals new perspectives and opens the world to adventure. importance. TT Warsaw has earned its reputation over the past 25 years. It ishouldn’t be surprising that the Honorary Patronage of the event was taken by Witold Bańka – the Minister of Sport and Tourism, Jan Ardanowski – the Minister of Agriculture and Rural Development, Ireneusz Raś – the Chairman of the Parliamentary Committee on Physical Culture, Sport and Tourism, Adam Struzik – Marshal of the Mazowieckie Voivodeship, Robert Andrzejczyk – the President of the Polish Tourist Organization and Paweł Niewiadomski – the President of the Polish Chamber of Tourism. Just like every year, TT Warsaw Fairs will also be able to boast of a significant number of serious partners. This year, there will be a new partner, and straight from the top shelf. 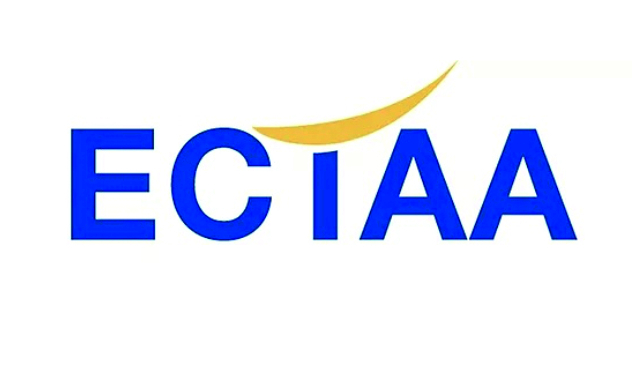 ECTAA, or the European Travel Agents’ and Tour Operators’ Associations, has not only become a titular partner, but will also organize a special seminar that will be addressed to the industry. Speaking of the accompanying events, as usual, the hall will be full during the conference devoted to outbound tourism organized by ‘Rzeczpospolita’. There will also be presentations related to the incoming and domestic tourism and promotion of Poland, as well as numerous presentations of foreign guests. The ‘Homo Turisticus’ and Fair Play of Polish Tourism ‘Kryształowy Globus’ [Crystal Globe] competitions has become a tradition during the fairs. This year, there will be a completely new competition that will promote active tourism – ‘AcTTive’, which will select the winners in the categories ‘Country’ and ‘Foreign’. It is already known that the jury will have a hard nut to crack, because there will be a lot to choose from. All travelers know the importance of a good seat. In this case, it is hard to find a better one. The exhibitors and visitors enthusiastically accepted such return to the roots during the fairs. Just like last year, TT Warsaw will take place at the Palace of Culture and Science in Warsaw, Plac Defilad 1. The moment when there is still time to plan winter holiday, but also the time to think about planning summer trips, especially in the first-minute offer. Regardless of what the weather, the atmosphere will be really hot during the fairs. 26. The TT Warsaw International Tourism Fair is scheduled for 22-24 November 2019. Write it down in your calendar.